Quick one tonight to look at some of my Silver Tower progress. 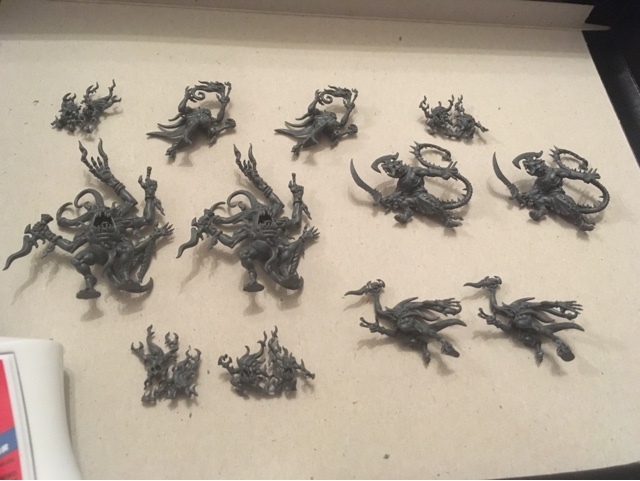 I started on the Scuttlings about a month ago and tonight I assembled some of the Tzeentch horrors and the 2 Skaven. 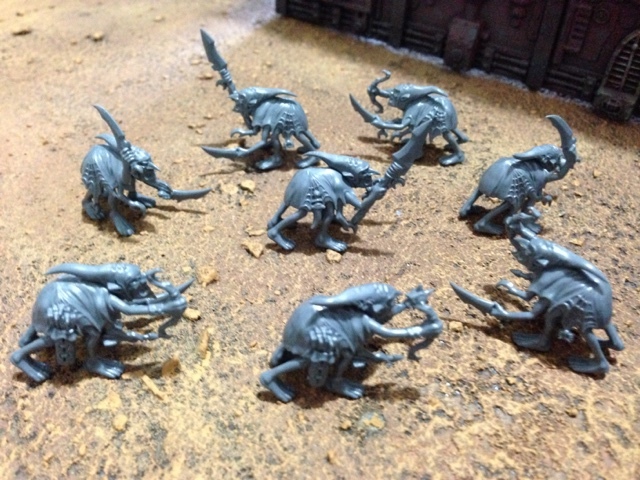 I hope to get the Skuttlings painted quite soon and then I will move on to the Horrors. The boxed game is a really great opportunity to break up bigger projects with a few smaller ones. It's easy to get a hobby-wobble when painting becomes tedious. Later this week I will move back to doing some more Stormcast and I will put a post up showing my progress. Until next time, stay fluffy!